Ossang’s latest is a nonsensical escape caught somewhere between Stalker and Maddin. It’s maddening stuff, but intentionally and admirably so. It’s not often the case that a film goes out of its way to drive you insane, but F.J. Ossang’s latest feature film (after a long, seven-year hiatus) is hell-bent on inflicting its audience with the same delirious illness that threatens to take over its characters. 9 Fingers begins as a noir thriller but slowly augments into something much less straightforward and much more abstract, placing its unsuspecting gang on a ship setting sail into the abyss. Stranded between land and the notorious ‘Nowhereland’, the crew are left to retreat to the recesses of their own minds. There, 9 Fingers‘ black-and-white front is less a method of evoking noir, and more a way of draining each poor soul of their colour, leaving them as estranged husks on which to apply an indulgent amount of glorious poetic babble. Emphasis on the babble: making sense of 9 Fingers’ lamentations is like traversing through treacle. This film gleefully abandons any notion of filmic convention, doing away with pesky ‘narratives’ and ‘character motivations’, skinning its sensibilities to a slither. It’s a breezy film possessing lightweight monologue with the knowing pretense of something greater – but if you go along with its quirks and refute Ossang’s attempts to infuriate, then 9 Fingers is riotous fun. With the film’s inclusion of an unexplained zone with unexplainable effects (the aforementioned ‘Nowhereland’), the premise is inevitably reminiscent of Stalker. Yet Maddin is evoked too, in part due to its heady composition and intoxicating, claustrophobic camerawork (the ceilings closing in on its characters, applying unbearable mental pressure), and in part due to its nonsense dialogue. This is satire under the guise of self-seriousness, a ludicrous odyssey – if not in content, then certainly in style – contained within a ship. The confines of this ship may suffocate its inhabitants as much as the story’s singular intent suffocates any room for the film to move beyond its narrow scope, but the intent is enough – the musty mise-en-scène and unabashed urge to aggravate its audience oxymoronically renders 9 Fingers an exciting and rewarding viewing experience. So fresh and so clean. 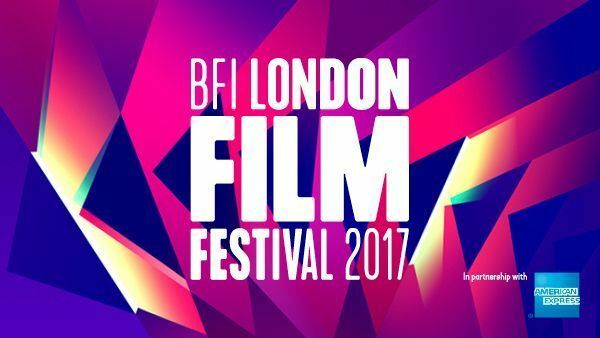 9 Fingers screens at the 61st BFI London Film Festival on 4, 5 and 8 October 2017. Arnaud Desplechin’s Ismaël’s Ghosts is an abstract, at times melodramatic interweaving of nightmare, filmmaking, fiction and reality.